Campaign for Free and Fair Elections (CaFFE) has called on the government to hold the Provincial Council elections without delay. The Acting Executive Director of CaFFE Ahamed Manas Makeen stated that provincial councils should not be subdued for the sake of current political issue. He said certain people are making various claims on the PC elections and carrying out a conspirative plan to postpone the election. Parliamentarians of the same political party make contradictory statements regarding the PC elections with the intention of misleading people to avoid holding the PC elections and proceed for a presidential election, he stated. Since the PC election was postponed for over 15 months, six of the provincial councils are regulated directly under governors through the President at present, Mr Makeen said. 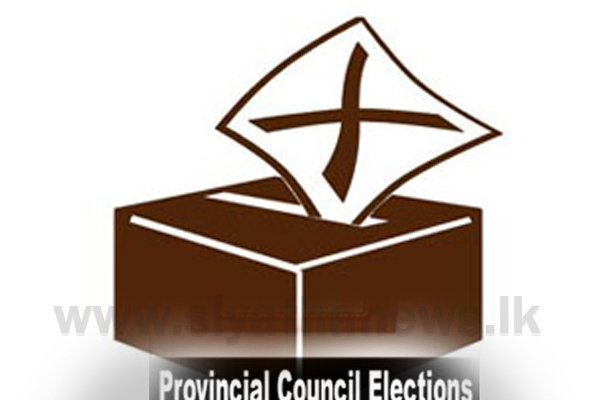 During the last official term of these provincial councils, 262 representatives had been in office; 38 members for Northern Province, 37 for Eastern Province, 44 for Sabaragamuwa Province, 52 for North-western Province and 58 for Central Province. Mr Makeen questions as to why the PC elections are being put off when the official term of these provincial councils have already expired.